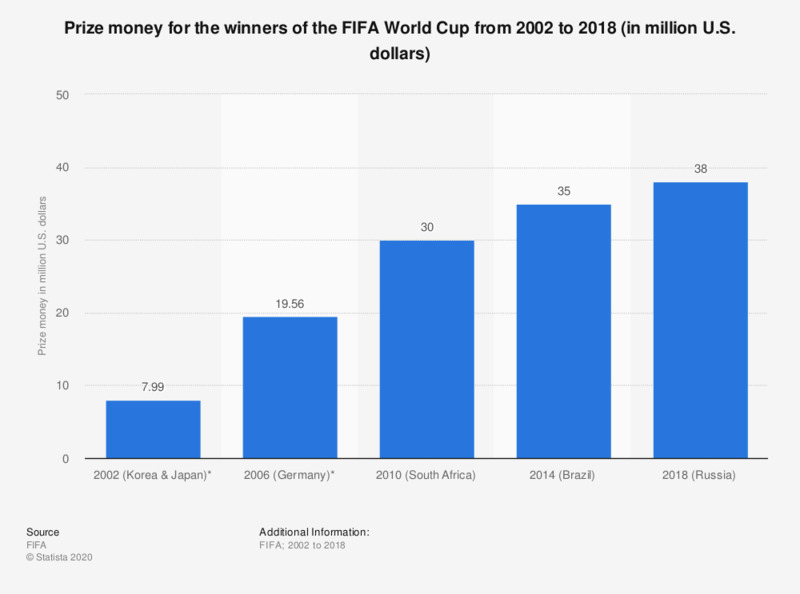 This statistic shows the prize money awarded to the winner of the FIFA World Cup from 2002 to 2018. The winner of the 2014 World Cup was given 35 million U.S. dollars in prize money. * 2002 and 2006 prize money figures were originally in Swiss Francs and converted to U.S. Dollars using an annual average exchange rate for the corresponding calendar year. Everything On "FIFA" in One Document: Edited and Divided into Handy Chapters. Including Detailed References. Which country do you want to win the FIFA World Cup? Have you ever run barefoot?